Snarky liberal journalists beware; The RNC and a Trump super PAC have all of your Russiagate conspiracy tweets, which might be used against you for trash-talking the president and spreading misinformation before, during and after the Mueller investigation. And while Trump and Congressional Republicans have put Obama officials and holdovers alike on notice that there will be an investigation to get to the bottom of the 'hoax,' journalists who peddled the Russiagate narrative will be subject to a montage of their journalistic malpractice over Twitter. "The media made a critical mistake concerning the Mueller investigation coverage," Keystone College political science professor Jeff Brauer told the NY Post. "Their major sin was the wrong assumption that Mueller’s professional silence about the probe was an indication that he was holding all his cards close to his chest. In the end, it was the opposite. Mueller made all his moves openly during the investigation. When they found something, they simply indicted and prosecuted. 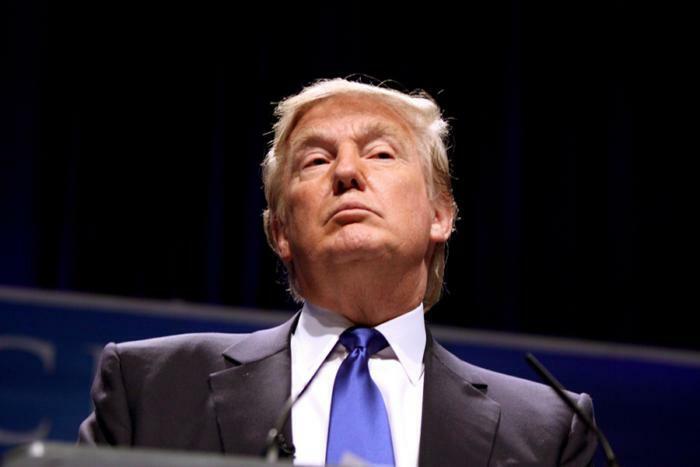 To that end, the Republican National Committee and the pro-Trump super PAC America First are "geared up for any nonsense to come" from reporters covering the 2020 election. "Any reporter who tries that will be hit with 30-second spots of all their ridiculous claims about collusion," one source told The Atlantic on condition of anonymity. The Trump campaign, meanwhile, has sent a letter to various TV producers cautioning them against booking anti-Trump guests who have pushed - and in some cases continue to push, the Trump-Russia conspiracy theory. Named individuals include; Democratic Senator Richard Blumenthal of Connecticut, Democratic Representative Adam Schiff of California, and Democratic National Committee Chairman Tom Perez. "It’s not hard to figure where we’re going to go with this," said a current campaign official. "We’re still in victory-lap mode, but it will turn into a message that [Democrats] will say or do anything to stop us from making America great again, including making up lies about the president and ruining a lot of people’s lives." According to The Atlantic, White House officials aren't going to move on from the Mueller findings because Democrats aren't moving on either - "doubling and tripling down" in fact, according to White House spokesman Hogan Gidley. Some Democrats, however, want their party, and the MSM, to let it go. "They just harp on the same thing, and you would think there’s nothing else Trump’s done wrong," said 73-year-old Democrat Jim Henry of Gettysburg, Pennsylvania. "That’s the only thing they have on him? Come on, talk about the other stuff." 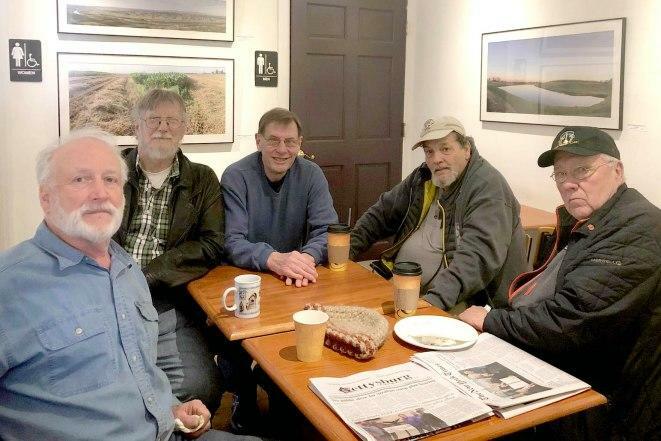 Pennsylvania coffee shop pals Jim Paddock (from left), Roger Jewell, Jim Henry, Philip Schindel and Richard Sawyer agree it’s time to stop talking Mueller. "I don’t think we need to forget about Russia. And I think that needs to be reported one way or the other," said 76-year-old Jim Paddock, supervisor of a nearby township "But because other big issues like health care and infrastructure aren’t being talked about, it gives him momentum."